You’ve got your Christmas list written out, cards stamped and ready to send out – but have you given much thought to how you can use this Christmas to optimise your social media presence? Thousands of weary shoppers will be browsing social media in-between many-a-shopping trips in the lead up to Christmas, so take a read of these ten tips that will make your social media festive and full of #ChristmasJoy over the holidays. Sprinkle some Christmas joy in to your regular photo or logo with some festive graphics. To do this, you can outsource some help from a graphic designer, or there’s a number of apps and social add-ons available where you can upload a fun Santa hat or falling snow to your regular profile image. 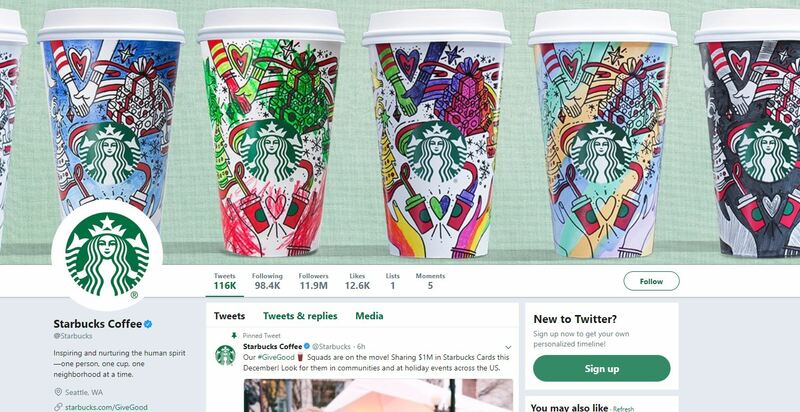 Update your header photo too, and use this opportunity to market a special product or campaign that you’ll be running over the season (check out Starbucks who lead a shining example by promoting their signature Christmas cups on theirs!). As we head closer and closer to Christmas, you’ll probably notice your social feeds start to become littered with Christmas imagery, so while your content should still absolutely be tailored to your brand and what you do, this is a trend that you can definitely get on board with. 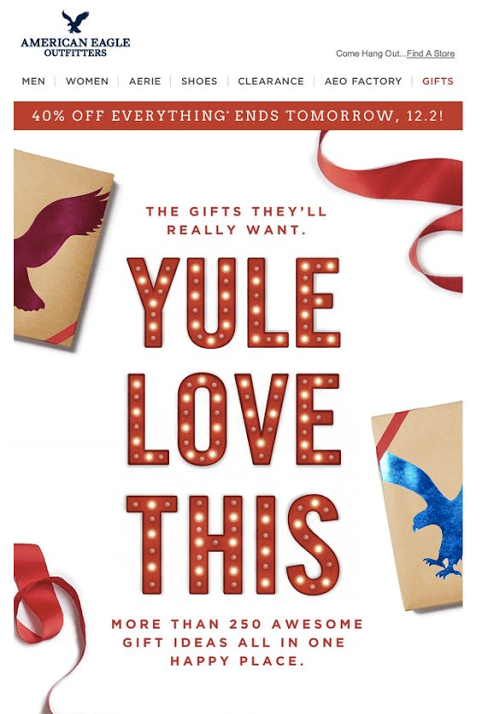 Take note from M&S who, as well as giving us food envy with every television advert they run over the holidays, completely nail the art of a social theme. 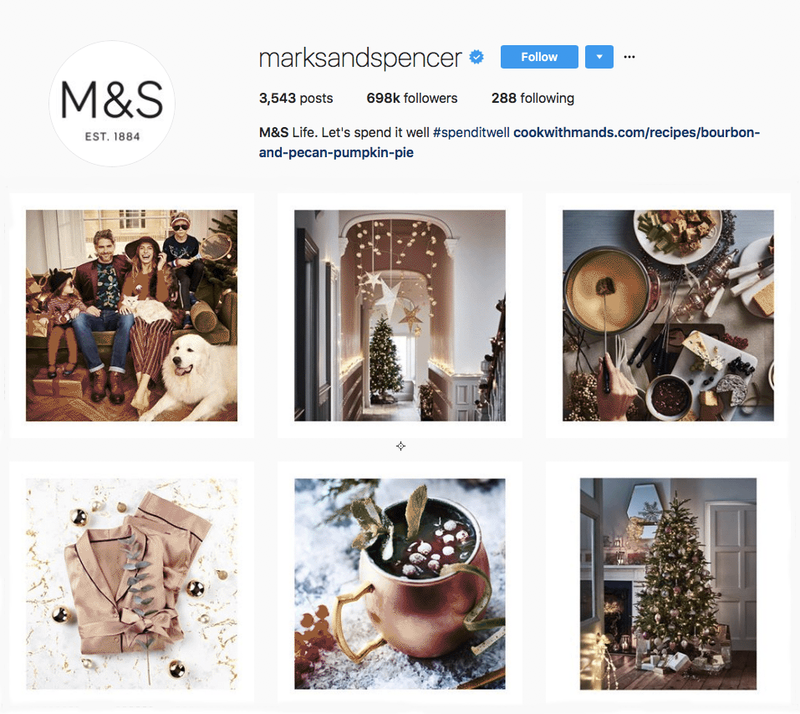 Posting Christmas-inspired photos using a similar colour scheme and style, they still manage to advertise their services and stay true to their brand. Our top tip: devising a content plan will really help with this one, as you’ll be able to structure your content in advance. Should you emoji, or shouldn’t you? It’s a common question, but as a rule of thumb, emojis should be used sparingly and only where appropriate. If you are going to use emojis, handpick one or two signature emojis that relate to your brand (for example, the heart eyes emoji probably isn’t one to use if you’re an accountancy firm), and over Christmas use Santa, a Christmas tree or the gift emoji where relevant. 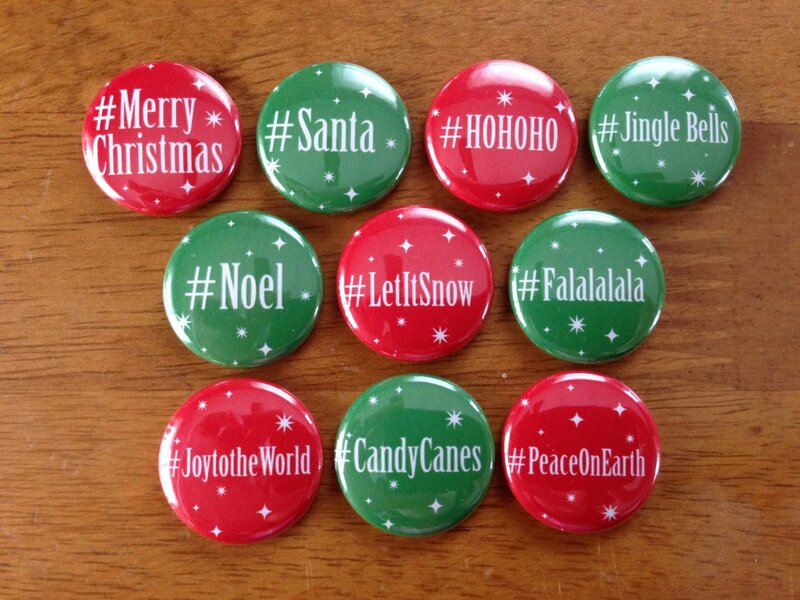 Christmas hashtags are also something to use to help increase your reach – keep an eye on trending hashtags and implement them into your posts, such as #ChristmasCountdown, #TisTheSeason or #ChristmasIsComing. Hosting a giveaway is a great way to increase your impressions organically by using popular hashtags such as #giveaway, and is a great way to further increase your engagement and follower count (I mean, who doesn’t love a freebie?). Make sure to gather a couple of prizes to give away (you can buy these depending on your budget, or have a think about offering some of your services for free. A low cost prize plus extra business for you – win win!). You’ll then need to decide on the rules, and you’ll want to make sure to centre this around increasing engagement. Maybe users will need to share and follow you for a chance to win? Or, they’ll receive an ‘entry’ for every like or share they do? 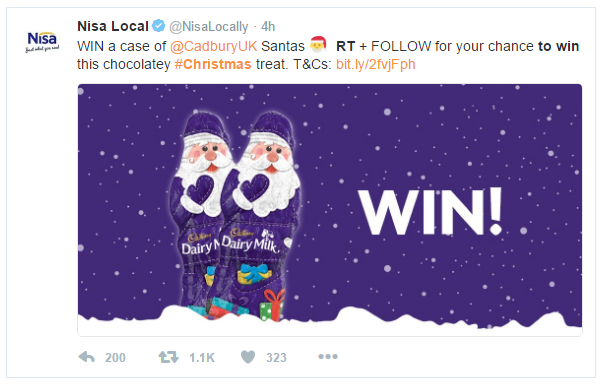 Check out how supermarket Nisa encourage customers to both retweet and follow for a chance to win, furthering their reach organically and increasing their follower count in the process! Special offers and promotions are a great way to get noticed, especially over Christmas where social platforms will be littered with brands promoting their services. These offers can be a special discounted price, a 3-for-2 situation (think Boots), or just to inspire some urgency purchasing, such as ‘this is your last chance to grab these while stocks last, at our special price of ___!’. 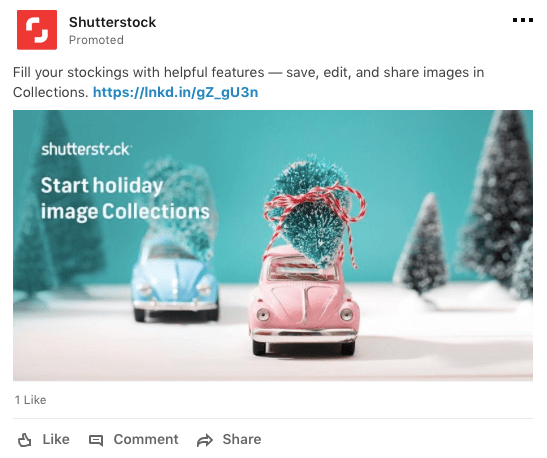 Even if you’re not running any kind of promotion over Christmas, posting any Christmas-inspired stock you might have, like Shutterstock have done above, can help to promote your services more over the holidays. You can run polls now on both Facebook and Twitter, and this is a great way to engage with your audience as it encourages users to share their opinions and thoughts. 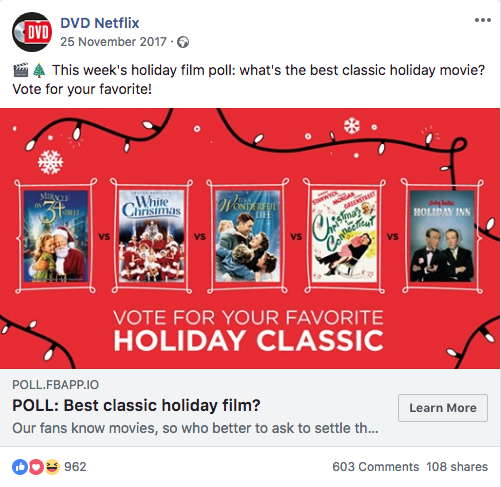 Check out Netflix above, who asked users to vote for their favourite holiday flick. As well as asking users to vote in the poll, you can also encourage your audience to discuss their choices further in the comments. As well as increasing engagement, it also helps to humanises your brand; while you should always stick to your brands tone of voice and continue to promote what you do, these posts can something bring a sense of ‘human relief’ to an otherwise business oriented feed. Instagram and Facebook both have the option to add to your ‘story’ now (these are posts/videos shared for a short period of time), and this is a great option if you want to share your office updates, but are concerned about tainting the overall theme of your brand on your social feed. 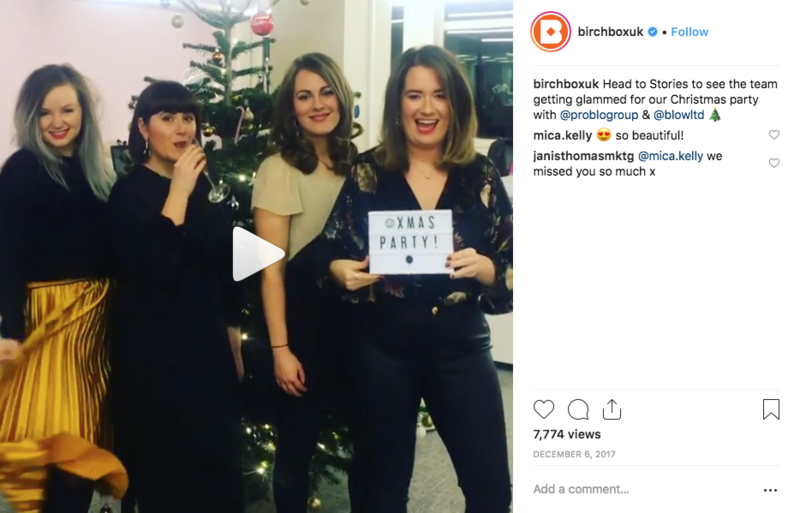 Another great content idea, as demonstrated by Birchbox above, is to post a fun boomerang of your staff getting ready for the office party, or decorating the office Christmas tree. This is another great method to help humanise your brand, so whatever you’re doing, share it! Christmas is a perfect time to communicate with your audience – whether you’re letting them know about your Christmas deals, or simply wishing them a ‘happy Christmas’ and thanking them for their custom. The key to this is to stand out, make it personal, and make it distinctly ‘you’. The great thing about email marketing is it lands straight to the users inbox, rather than a message being sent out to thousands via social media, so use this to your advantage and personalise your email to each customer, rather than blasting off a generic, ‘hi there!’. Stick to your brands tone of voice, as well as your signature colour/font, but have fun with it – a bit of word play (as American Eagle have done, above) or a GIF can make all the difference in making your email memorable. 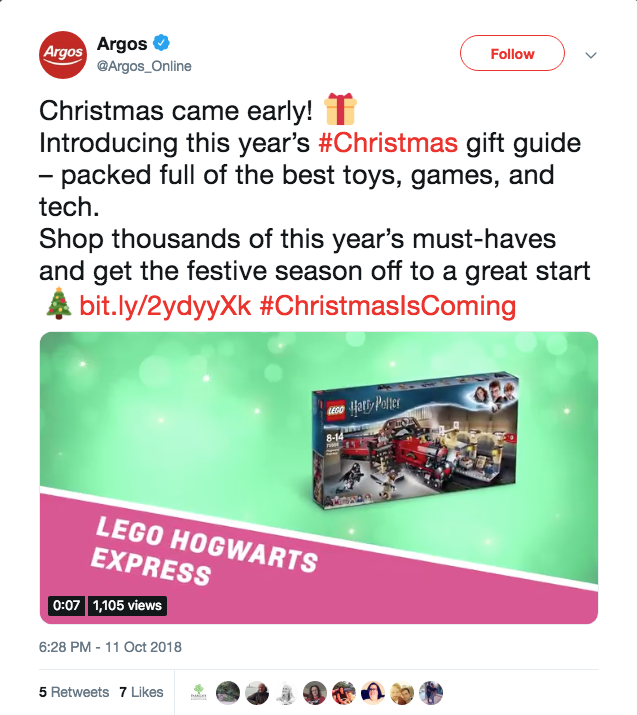 Preparing a gift giving guide for your audience can be a great way to increase your awareness, as well as promoting your services – take a look at Argos who’ve done this exact thing, by providing customers with an easy-to-digest guide to help with the feelings of ‘gift giving anxiety’. Even if you don’t offer a physical product, think outside the box – what do you offer that someone would love to unwrap on Christmas day? Whatever it is, make sure to let your audience know so they keep you in mind this Christmas. And lastly - share, share, share! Has someone mentioned you in their post? Did someone receive one of your products for Christmas, that they’re delighted with? Are they at your restaurant for a Christmas meal or party? Whatever it is, make sure to share it with your other followers – there’s nothing better than sharing a happy customer's joy! 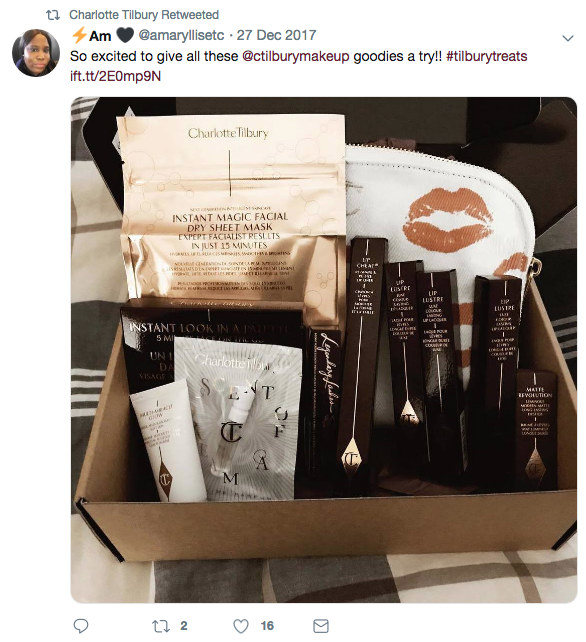 Take note from makeup brand Charlotte Tilbury who made sure to retweet their customer’s gift shares last Christmas, and aim to reply to any mentions too as this is a great way to interact with and engage with your customers. We can help ensure your social media marketing is a success, so why not get in touch with us at hello@creativepod.net to find out more? And to follow all our news and updates, follow us on Facebook, LinkedIn, and Twitter.